Before You Exit, Make A Difference. 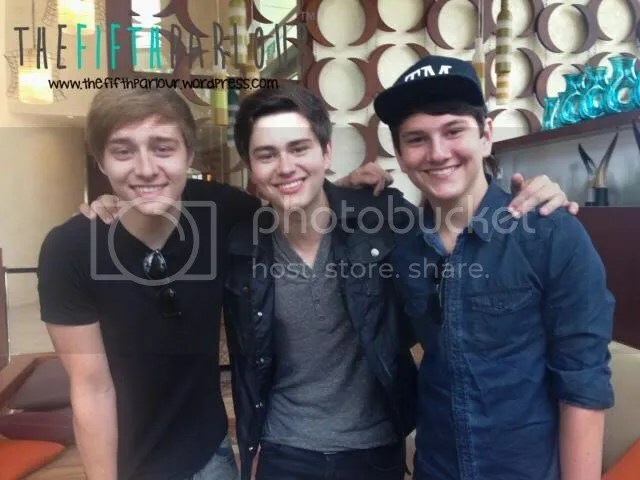 That’s the band motto for none other than Before You Exit, compromising of the 3 cheeky boys as seen in the photo – (from left to right) Connor McDonough (19), Riley McDonough (17) and Toby McDonough (15). Despite being jet-lagged from a long flight the previous night, they were still so jovial and filled with energy during the group interview. Laughter filled the room with jokes and random teasing among the brothers, they were a joy to interview with! These three young brothers are more than your typical boy band! From writing songs, playing instruments to producing their own music videos, these three young gentlemen are really creative and talented. When it comes to covering songs, they tend to deviate from the norm of just covering it like a karaoke version. They want to do something different by switching things up and adding their own style to it. Hence, the entire music video process would take about a week, starting with them sitting down and figuring and allocating vocal and instrument chords. Toby: I wouldn’t even be able to drive to their house if I had my own house ‘cos I am only 15! Connor: You can take your scooter, sweetie. Toby: Thanks, that’s nice of you. Connor: Why not? It’ll be cool! School alone is already not easy for most of us, imagine juggling between school and touring! Due to frequent touring, all of them are doing online school. Toby: We can’t. My mum sits down with me, and makes me not able to skip school! Toby: It’s educational, Mum. The TV show is educational. Connor: The aim goal is for us to all get college education. We always gotta have a backup plan. They can’t do too many classes at a time or else it would be too overwhelming, so their mum helps to pick up the easy classes for them. Connor’s first experience with music was when he was 3. He got a keyboard from his grandparents, and his first song he learnt was Mary Had A Little Lamb. Riley’s first experience with music was when Connor taught him Mary Had A Little Lamb. It was nothing fancy like Beethoven, “but I played it like Beethoven” said Riley. Toby’s first music experience, on the other hand, was the ever so popular Smoke On The Water guitar riff. What do they do during their free time, you wonder? Big fans would know – Starbucks. Connor: We go to movies a lot, we go on long-boarding rides, we go on walks, we go to Starbucks, er… we go to Starbucks, then we go to movies, we go to Starbucks sometimes, we go to Starbucks… then we go to Starbucks again. I wonder how many Starbucks gift cards have they got from fans already! Toby: They are huge movie critics. I’m like that movie is great, but they’re like “I mean, that shot in the 37 seconds of that movie is horrible, I hated it!” Riley edits our music videos, and he hates videos that are shaky. Toby: *puts up 3 fingers* oh my God they’re right, it’s true! Before You Exit, Make A Difference. They want to set a good example and be a good role model to fans to look up to them. It is really heartwarming and nice to hear touching stories from fans about them saving that fan’s life. They write songs from experience/things they have gone through, so it is nice that fans can relate to it. At the same time, it shows their fans that they are not alone, and that they have been through it too, they said. With their cheeky and wacky selves, one can imagine how fun would it be and what mischief were they up to during tour! Toby shared with us, there was once when Connor was so happy that he got milk and cookies, telling everyone on the tour bus “I got my milk and cookies, I’m gonna go to my bunk and eat them”. Toby was playing football then. You could guess what happened next… He kicked the football down the hallway of the bus and it went right into Connor’s bunk and hit the milk right out of his hands. He came out of his bunk shocked and everybody was in tears laughing. Poor Connor! Also, “the amount of times I’ve seen Riley fall off the stage is countless. I can see these images in my head” said Connor. They shared that Riley has actually fallen off a 10 feet stage, ouch! 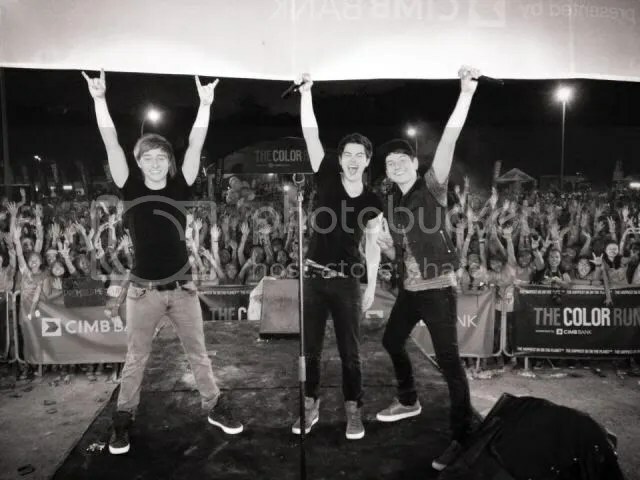 Ironically, Riley was making fun of Connor almost tripping, but instead, he himself fell off the stage. So I went for The Color Run that day after the interview, and boy was it fun! 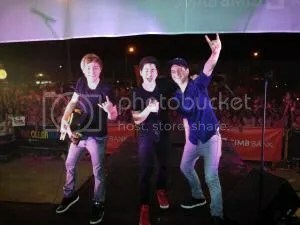 I managed to catch Before You Exit perform at The Color Run after party. I got to say, their charming looks and extraordinary talent undoubtedly made the crowd of Exiters (even new fans from The Color Run) fall in love with the band repeatedly with every word sung. The boys knew their way around the stage and they definitely knew how to please their audience, making the crowd immensely enthusiastic and eager, hopeful for some sort of attention from them. Their popularity have grown over the years, and I am sure that this growth will continue for years. Talented, down to earth, fun loving and sweet – I am sure that they will go far. Here’s to wishing them all the best for their future endeavors! 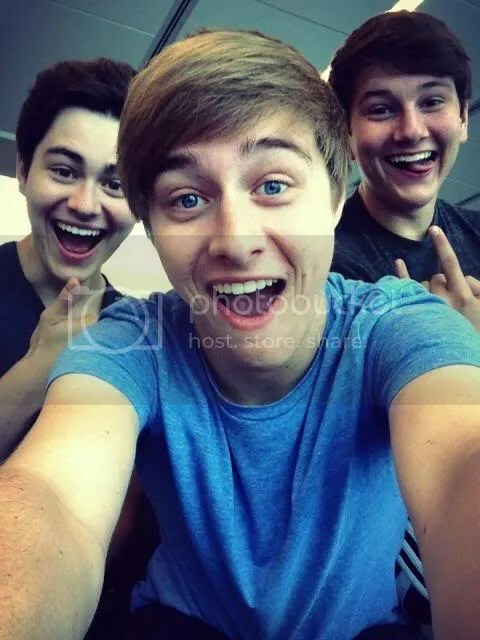 Follow Before You Exit at their Twitter and Facebook. Also, don’t forget to subscribe to their YouTube for upcoming videos, and check out their official website for regular updates! We would like to thank Sony Music for this interview opportunity, and Before You Exit for taking their time to talk to us media!